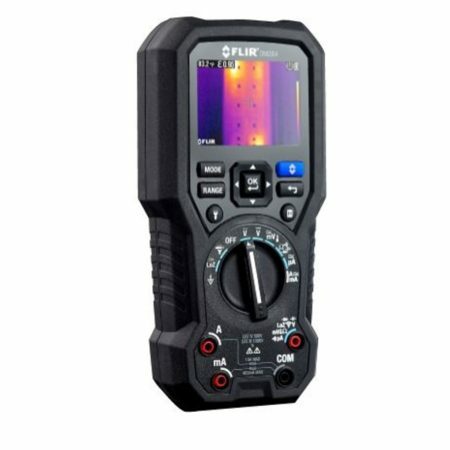 The FLIR DM166 is the most affordable True RMS multimeter with built-in thermal imaging – a must-have tool for commercial electricians, automation, electronics, and HVAC technicians. 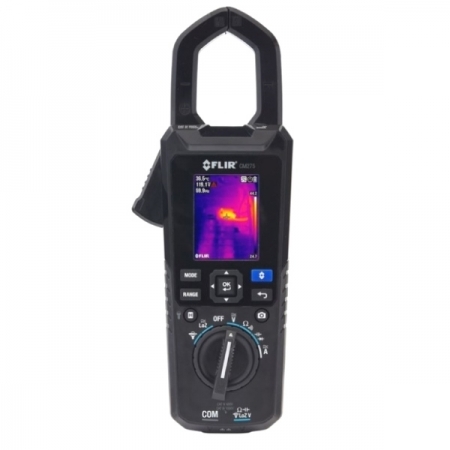 Featuring Infrared Guided Measurement (IGM™) powered by an 80 x 60 FLIR thermal imager, the DM166 visually guides you to the precise location of temperature anomalies and potential problems faster, more safely, and efficiently. 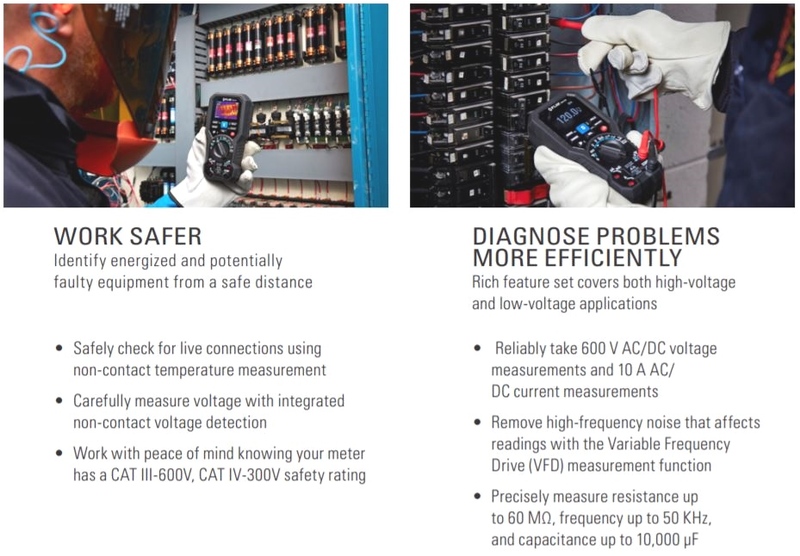 The feature-packed DM166 multimeter is an ideal tool for troubleshooting and diagnosing complex issues in both high-voltage and low-voltage applications. 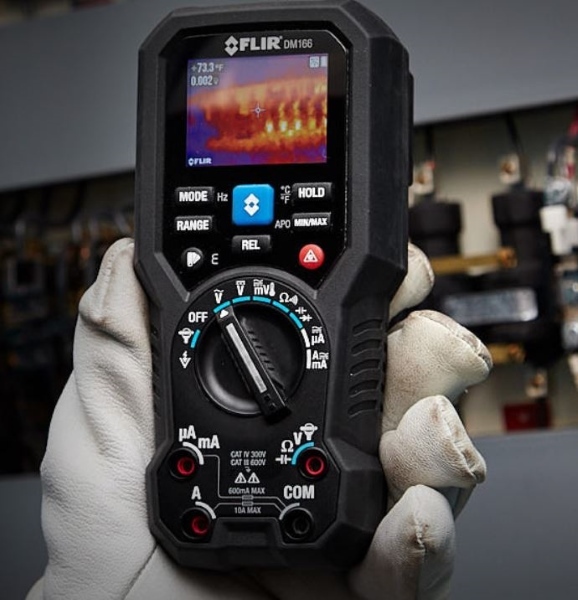 The FLIR DM166 Thermal Imaging Multimeter is True RMS and a must-have tool for commercial electricians, industrial electricians, electronics, and HVAC technicians. 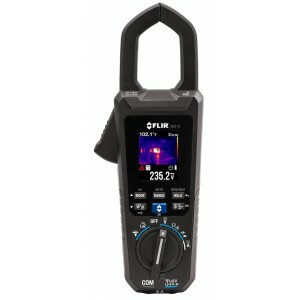 Featuring Infrared Guided Measurement (IGM) that’s powered by a built-in 80 x 60 FLIR thermal imager, the DM166 visually guides you to the precise location of potential problems. The FLIR DM166 Thermal Imaging Multimeter allows professionals to efficiently test and troubleshoot electrical, electro-mechanical, and heating, ventilation, and cooling (HVAC) systems. 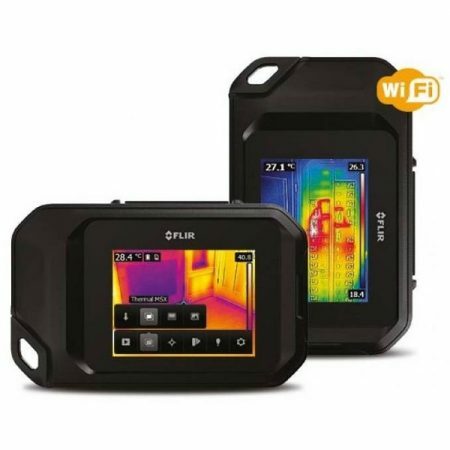 It’s Infrared Guided Measurement (IGM) gives the added benefit of visualising heat and highlighting temperature anomalies on it’s built-in display. 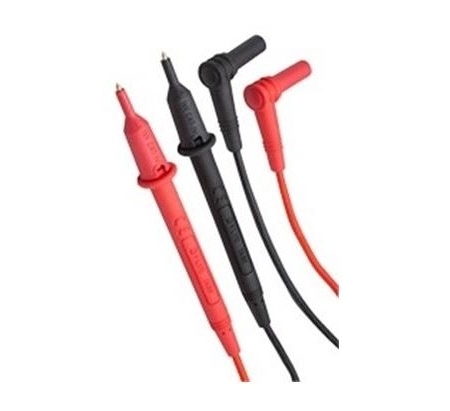 Whether facing cluttered wires, complex panels, or clogged condenser coils, IGM guides users without requiring any direct contact with the test site, increasing both speed and user safety. 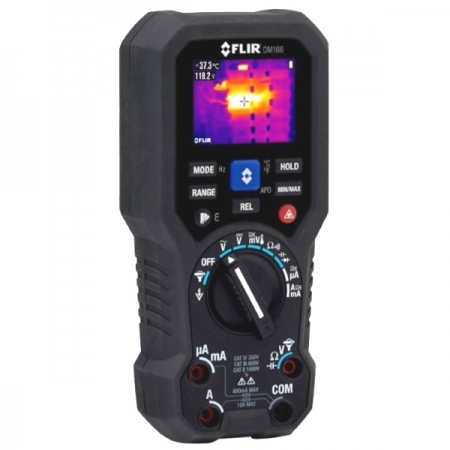 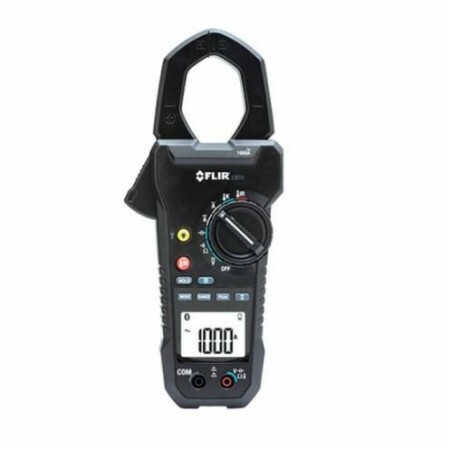 The FLIR DM166 Thermal Imaging Multimeter includes the essential measurement features you demand from a multimeter including True RMS AC/DC voltage and current, non-contact voltage detection, VFD mode, and more. 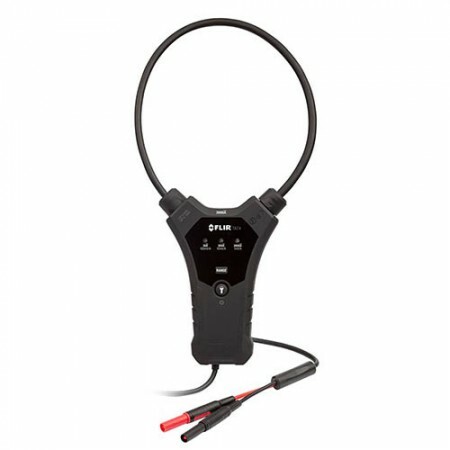 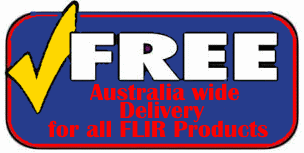 The FLIR DM166 is the most affordable multimeter with built-in thermal imaging available to date. 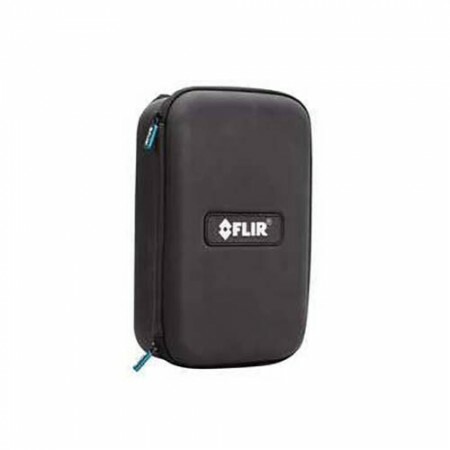 Warranty 10 years on product and detector.